Flood Brothers donated the land, building and financial resources to assist in the creation of the Fountain of Hope food bank for the inner city community. Fountain of Hope started by serving just 12 peanut butter and jelly sandwiches locally to serving well over 25,000 people through many different programs. Fountain of Hope feeds the hungry by soliciting and distributing surplus food to nonprofit agencies, which serve the needy in Metro-Atlanta. A “Box Of Hope” is an assortment of Nutritious Foods donated by local companies from all over Georgia. The box is valued at $35 and includes Whole Grains & Breads, Fresh & Canned Fruits/Vegetables, Assorted Proteins, Beverages and Snacks. 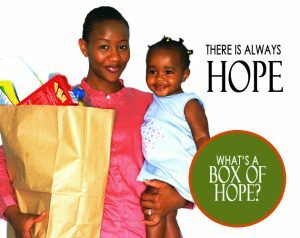 We currently provide over 11,000 “Boxes of Hope” each month. Our goal is to partner with all inner-city churches and other organizations in order to provide 50,000 boxes per month.